National Centre of Biological Sciences (NCBS) encourages collaboration at every level and the artist-in-residence outreach program was also in alignment with varying expressions of science. The program brings on board artists who work closely with ‘Principal Investigators’ and their labs to translate the science into art. 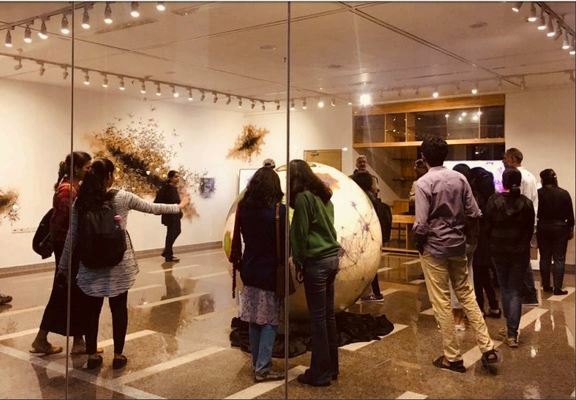 ‘Through Clusters and Networks’ exhibition ongoing till 15th February 2019, is a wonderful closure to the 8 months interactive collaboration in between Dhara and NCBS. “I explore landscape and its inherent ecology, I have always found myself intrigued and inspired by the foliage, ferns, petals, grass, moss, pollen and other aspects of landscape. 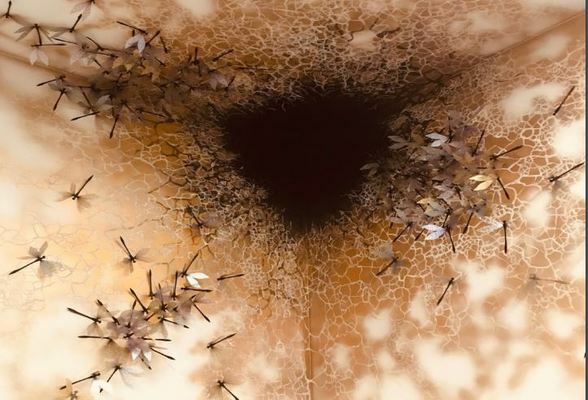 The idea centers mostly around ‘Cluster and Space’ – to evoke a sense of fluidity and boundlessness of natural world around us.” Dhara tells us about things she finds inspiration in. She considers the residency as an immense learning experience. “If at all there was anything close to be addressed as a challenge, I would say perhaps, ‘someone more used to sailing the rough seas of artistic intuition, standing on the steady shores of scientific precision can be dizzying at times”, she adds. 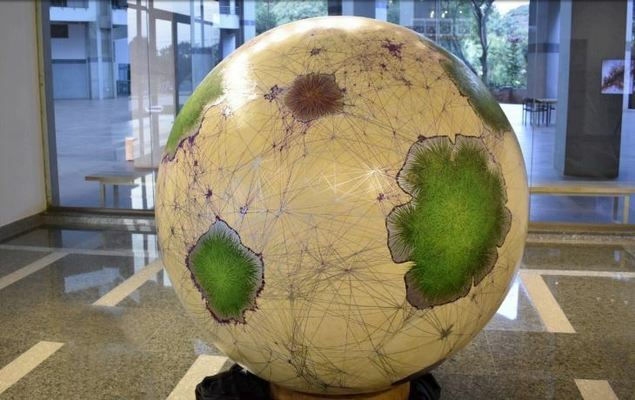 She also has a few interesting projects around clusters in nature in the pipeline which will be exciting to wait for.